Today was a celebration of global connections between Saint Mary's University and our partner institutions in China, notably Xiamen University. The University hosted a fond farewell for outgoing Co-Director of the Confucius Institute at Saint Mary's University, Maria Pan. 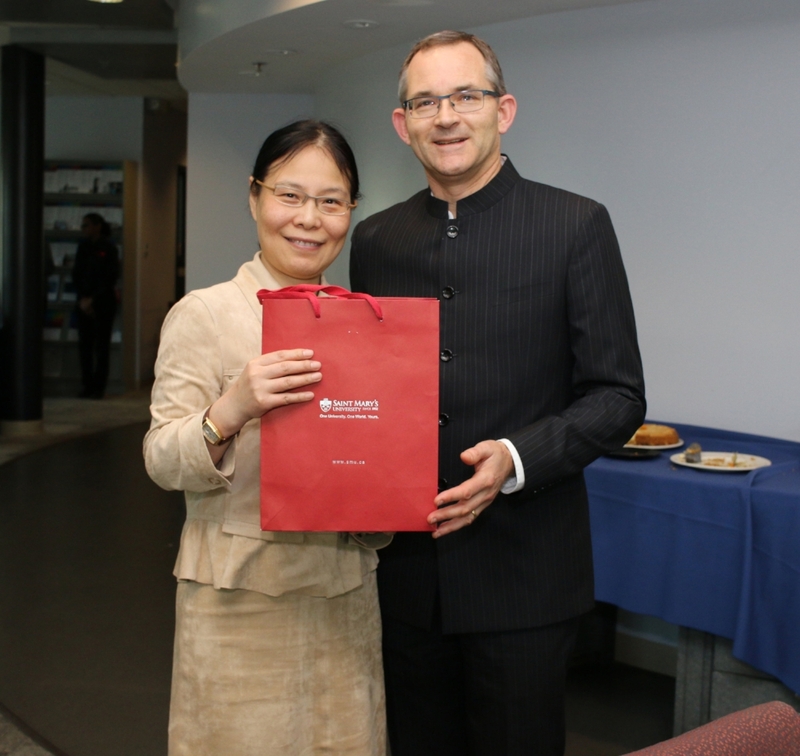 It was also a time to welcome her successor, Dr. Guo, Zhaoyang, who has arrived on campus. At the luncheon today, hosted by President Rob Summerby-Murray and his wife Susan, members of the Confucius Institute gathered with colleagues from Saint Mary's University, the Chinese Society of Nova Scotia and local business leaders. "The success of the Confucius Institute at Saint Mary's is a testament to the long-standing connection between Saint Mary's and Xiamen University in China," said Rob Summerby-Murray. "The support from Xiamen and from Hanban has been greatly appreciated. Under the direction of Maria Pan, the Chinese Co-Director, the cultural exchange and community engagement has grown by leaps and bounds. " President Summerby-Murray went on to note that Maria Pan has been a Co-Director for six and a half years, a demonstration of her strong leadership and the considerable accomplishments under her tenure. Today also marked another transition as outgoing Canadian Co-Director Dr. Charles Beaupre and the university community welcomed Dr. Eric Henry into the role of Canadian Co-Director.